As a co-op student, or recent graduate, you have heard it a million times, “Networking is a MUST for finding a good job.” Unfortunately, the thought of networking can be downright terrifying. Cue the cold-sweats and sleepless nights; you have no idea what to expect, how to prepare, or what to talk about with potential employers. But, we have good news, networking doesn’t have to be a bad experience! 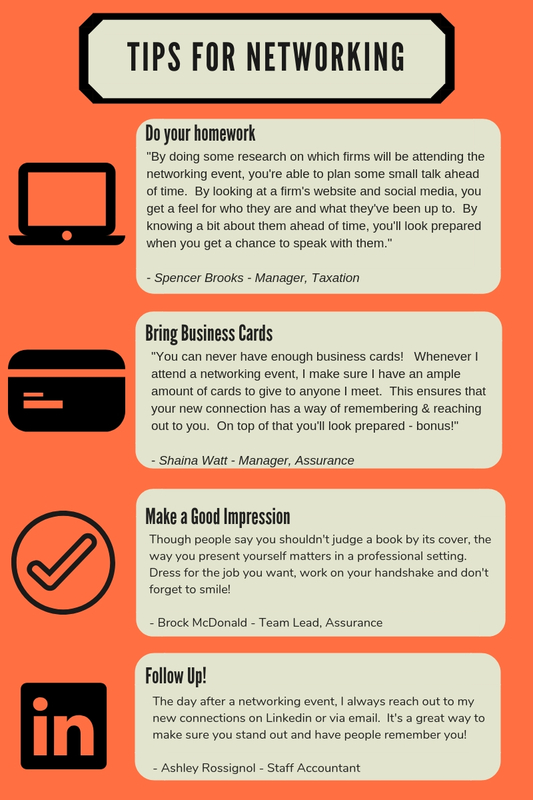 To help ease your pain, we asked our staff to share their networking tips and tricks. Good Luck to our 2018 CFE Writers!